My husband is sometimes sent to London for workshops. So when they sent him on a Friday, the night the British Museum is open late, we decided we’d spend a few more hours exploring its hallowed halls. 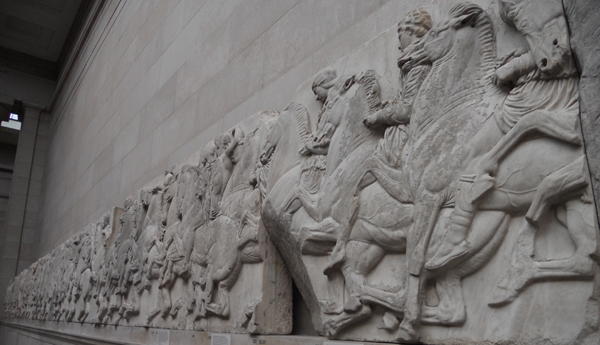 A friend had already asked what we thought of the Elgin Marbles, so we made that our first destination. 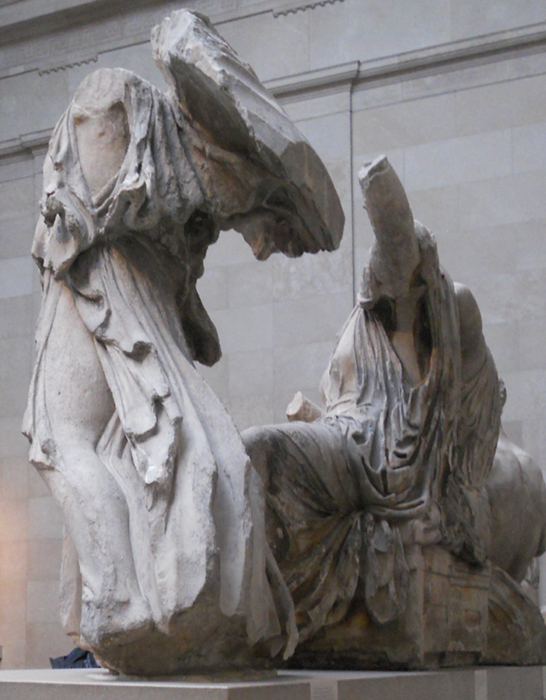 For those, like myself, who are clueless as to what the name represents; the Elgin Marbles refer to pieces of the Parthenon, obtained by Thomas Bruce, the 7th Earl of Elgin. 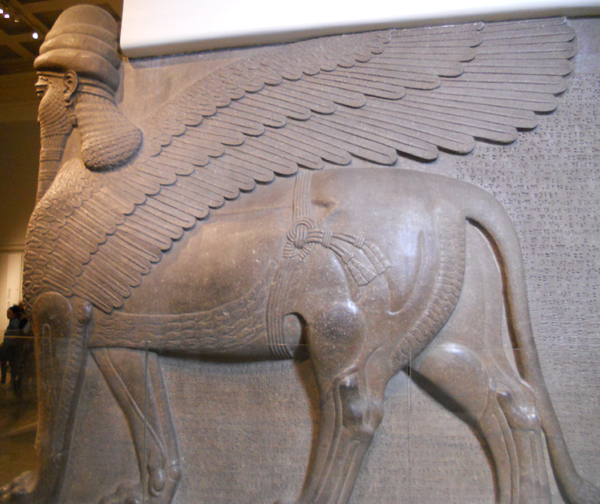 He removed the remains of several pediments, metopes and friezes in the early 1800’s and they were later put on display in a purpose built exhibit hall. There is some question over the legality of the removal of the marbles from Athens, and it seems that Athens has since asked to have them returned (though the British government has declined). The pediments are the large sculptures that would have appeared in the triangular roof section of the building (so high above the ground). These seem to have depicted several of the gods watching various activities (I believe those depicted in the metopes). These are the least complete sections of the exhibit as none of the sculptures retain their heads (with the sole exception of a horse that is only a head) and few retain their arms. They would have been spectacular to behold when they were finished and it’s hard to imagine why such detailed work was displayed so high above the ground (thus making it difficult to see). Incidentally, there’s a Greek-inspired pediment decorating the entrance to the British Museum, though it’s quite stylized. 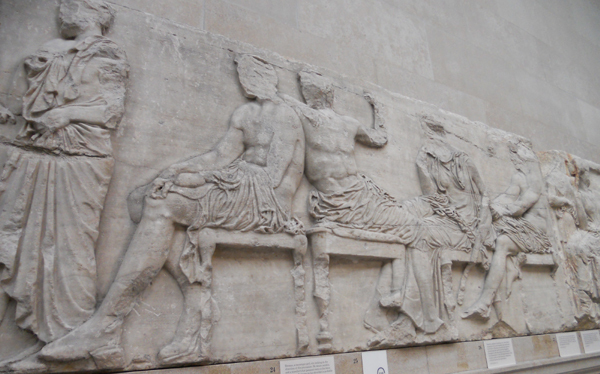 Displayed around the pediments are the metopes, which are rectangular in shape and would also have lined the top of the walls around the Parthenon. 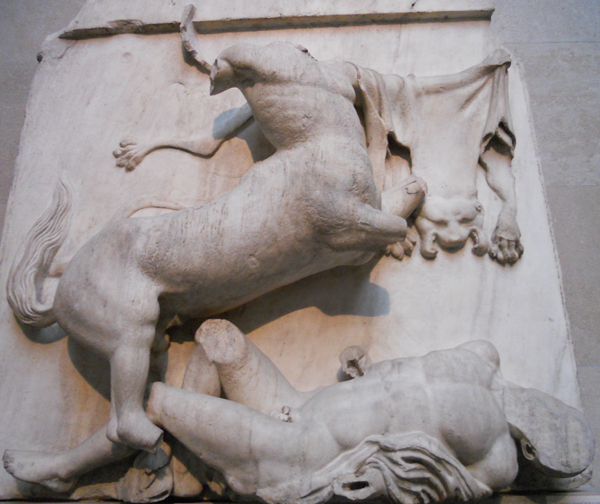 These depict human soldiers fighting centaurs. 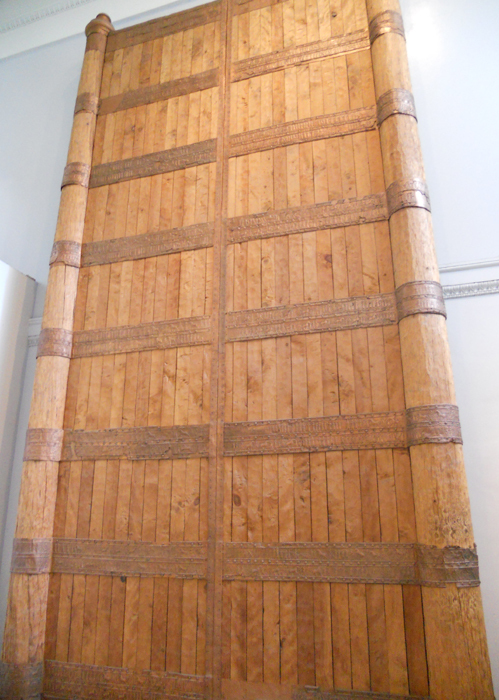 Lining the walls of the exhibit hall are 247 feet of frieze which would have decorated the interior of the temple, just beneath the roof. These less detailed than the pediments and metopes, but still impressive. They mostly depict soldiers riding, or marching to war, servants or sacrifices carrying supplies to be offered to the gods, and chariots riding in ranks. After walking through the exhibit hall, I have to admit I’m among the camp who believes the marbles should remain where they are. I may be biased; their position in the British Museum allowed me to see them, but I have to agree that these amazing pieces of history belong to everyone. 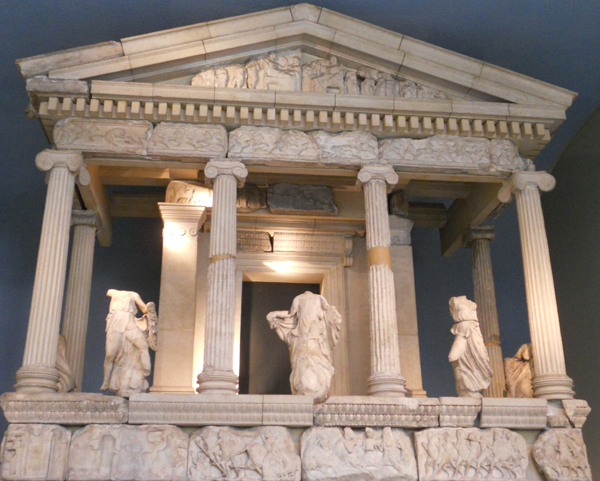 As well as the Elgin marbles, we visited the Nereid Monument, which is a reconstruction of a Lycian tomb. The monument features several sculptures of nereids, or water-nymphs. It’s a smaller monument, with far fewer pieces than the Parthenon. But it’s been reconstructed to show what parts of the tomb would have looked like. Most enamouring are the mysterious and beautiful nereids with their flowing robes. There was an artist on a bench near the monument, sketching one of the sculpture remains. 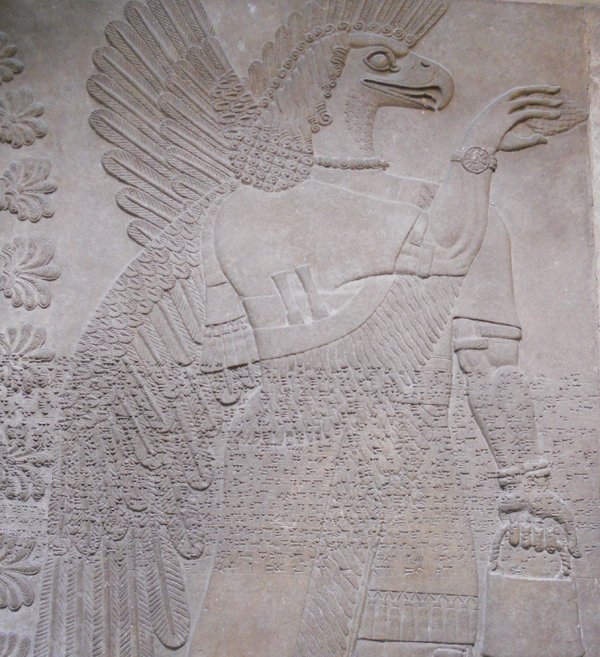 When we finished our peek at the Greek sculpture section, we took a look at some of the things from Ancient Assyria, most interesting to me because they created the first written language; cuneiform. In fact their giant sculptures and mosaics contain cuneiform text written across their middles, possibly because it took a great deal of space to say anything in cuneiform. As intriguing as the giant sculptures of sphinxes and the reconstructions of ancient palace doors, were the everyday artifacts. It was common in ancient Assyria to write letters on small clay tablets. Those tablets would then be sealed in clay envelopes on which an address was written and the mail was carried to the appropriate party. The same method was used to keep track of business transactions. If there was a dispute, the envelope could be broken to read the tablet within. In an eerie echo of modern society (life hasn’t changed as much as we think it has), doctors kept cuneiform tablets which told them how to diagnose certain diseases. They could then stamp a clay tablet with the appropriate prescription and one could have it filled by the apothecary. They also seem to have invented the concept of the corner stone, as they would carve the names of property owners into a portion of the foundation every time the owner changed hands. It was a short visit, but certainly an informative one. As we set off toward the train station, we kept an eye out for a place we might be able to eat (it’s always hard to find a place that isn’t full in London on a Friday night). We discovered a restaurant called Sarastro; The show after the show, and it just so happened they could fit it in. It was a fabulous place, built out of an old opera house. They regularly have live shows during dinners, though none were taking place while we were there (likely why we were able to get a table). The food was fabulous, as was the atmosphere. It was a very artistic, creative place. I’m really hoping we can catch a show the next time we eat there.